Extension, Extension!! 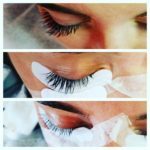 Lash Extensions are in season! SAVINGS!!! 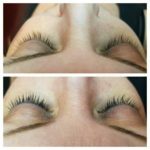 LASH EXTENSIONS are the perfect makeup for any season! Wake up and go. With just some detailed maintenance you too can have the lashes of your dreams! NEW CLIENTS save $25!!!! mention this when booking. ALL NEW CLIENTS require a credit card deposit for both new sets and fulls to book an appointment.. Thank you for your understanding. This entry was posted in Reviews and Compliments and tagged best lash extesnions, glamour lashes, lash extension savings, lash extensions, lash extesion groupon Save on Lash extenions, Lash fills, Stoneham lash extensions, the most posh lashes, volume lashes, wakefield lash extensions. ← Complimentary Dual Foundation Brush! !